Enjoy a simple treat with friends and families. Rolled in a crunchy tortilla, flautas are easy to make. 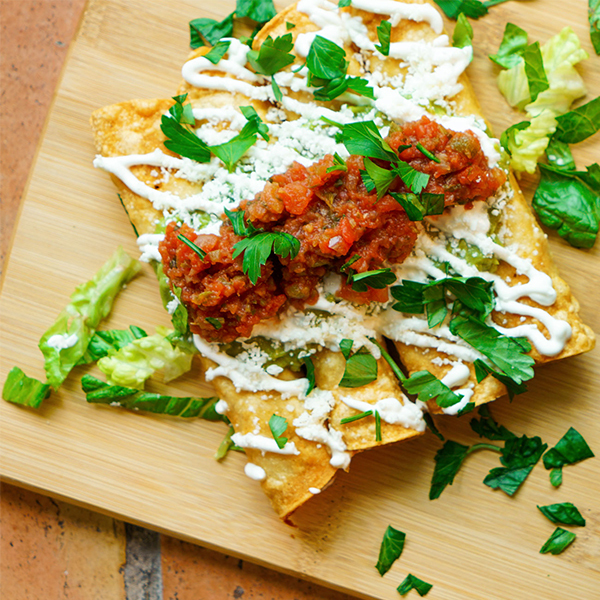 Don’t forget to serve the flautas hot on a platter with a bowl of your favorite flavor of Cocina Fresca Salsa for dipping. In a medium bowl combine the shredded chicken, Cocina Fresca salsa and ground cumin. Mix together. In a small skillet heat vegetable oil over medium high heat. Place a corn tortilla in the oil for 1 to 2 seconds on either side to soften. Repeat with all of the tortillas. Place tortillas on paper towel to soak up some of the oil.